Our approach to weight Loss and maintenance is different. Our patients achieve success. Our dedicated coaches provide weekly support sessions and ongoing educational support. Click here and Learn more about our exclusive, doctor supervised program. The Ideal Protein protocol. You deserve it! If you’re like most, you’d like to get rid of a few pounds. But for some, managing their weight is an everyday challenge that affects their physical, mental, and emotional health and well-being. Whether you have reached an unhealthy weight due to genetics, pain, injury, physical and/or emotional trauma, or another condition, we want to help you achieve a healthy weight so you can feel your best. When you feel great, you move better, and can experience a boost in your confidence and self-esteem that can positively affect all aspects of your life. Call us or visit our South Chicago wellness center to arrange an appointment for weight loss therapy and take control of your health and wellness. At Hyde Park Chiropractic Wellness Center, Dr. Rolande Balan and her team, are committed to helping her patients achieve total health and wellness. Dr. Balan combines her skills as a Doctor of Chiropractic and a certified acupuncturist with her devotion to healthy living and nutritional guidance. We are confident we can help you lose weight naturally. If you are ready to experience these and other weight loss benefits, reach out to Hyde Park Chiropractic Wellness Center in South Chicago to begin weight loss treatment. Dr. Balan and her team are passionate about helping their patients achieve their health and wellness goals so they can look and feel their best, all while improving their overall quality of life. 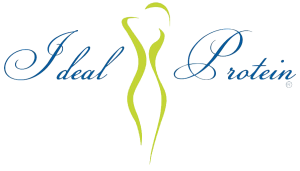 If you are ready to gain control of your weight, contact us today to arrange a consultation. We look forward to helping you on your journey to healthier, happier you!